My name is Rebecca Stonehill. I am from London but for the past four years have lived in Nairobi with my husband and three children where my husband’s job as a water and sanitation engineer brought us. I have been writing for many years and had a number of short stories published in indie press magazines, but my first novel, The Poet’s Wife was published by Bookouture in 2014. This is set in Granada during the Spanish Civil War and Franco’s dictatorship. My second novel, The Girl and the Sunbird, was published last year. I am currently working on novel number three. 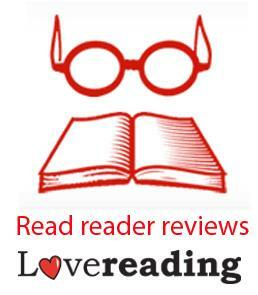 Welcome to Mrs Red’s Review, please can you start by telling us about your latest book? The Girl and the Sunbird is the story of an eighteen year old English girl, Iris, who is sent to British East Africa in 1903 to marry a man she has never met before. Once in Nairobi (a very newly established township at that time), Iris’s life takes an unexpected, dramatic turn as she begins to spend more and more time with a local Kikuyu schoolteacher…This novel follows Iris over three different time period’s – 1903, the 1920’s and as an older lady in the 1950’s when we discover the far-reaching consequences of her actions from all those years before. What kind of research did you do? Was it difficult to stay true to the time period? Researching early colonial Nairobi was fascinating as the vast metropolis it has become today has mushroomed beyond all recognition in little over a hundred years. I visited archives, libraries and museums and spoke to as many people as I could who could help me with the section set in 1950’s Nairobi. There were also a number of challenges, namely that archiving and documenting in Kenya is not as well funded or developed as it is in my native UK. Therefore, I took a certain artist’s license whilst trying to stay as true to the spirit of old Nairobi as I possibly could! How did you write the story? Did you know how it was going to end when you started writing? I never know where my stories are going – my characters decide that for me! I began with the premise of a fiery, intelligent young English girl who refuses to marry the Lord that has chosen her following her debutante season. As a result, her parents respond to an advertisement placed in The Lady for a colonial officer seeking a wife in the British East African protectorate. Imagine the sense of rejection and isolation an eighteen year old would feel at being banished to the other side of the world. Iris’s character really took off for me from this point on and I wanted to portray her warmth, courage and curiosity as well as her weaknesses. Are there any characters you found hard to write? Are there any you particularly loved or hated? Writing the character of Jeremy Lawrence, Iris’s new husband in Nairobi, was extremely difficult as he was so intensely dislikable. Really what I wanted to do was kill him off but the story just didn’t call for that! It’s amazing how involved as writers we become in the lives of our characters – I remember having to take lengthy breaks between writing the scenes with Jeremy Lawrence as I loathed him so much and didn’t want to be anywhere near him! On the opposite side of the coin, I can’t deny falling slightly for Kamau, Iris’s schoolteacher friend. He is tender, generous, handsome and intelligent – everything that her husband is not. What’s not to love?! I am currently working on my third novel which is set in the UK and Crete during World War Two and 1967. It is inspired by a spell my mother spent living in some ‘hippy’ caves in 1967 (really!) but my story has taken be far beyond and explores the difficult relationship between a rebellious young boy and his father and the unresolved trauma inherited by my protagonist (and, indeed, the entire baby boomer generation) as a direct result of his father’s experiences during World War Two. Four Letters of Love by Niall Williams. I cannot recommend this book enough. I am shocked that I am only discovering it now, twenty years after it was written! Irish author Niall Williams has the deftest touch with language that I have had the good fortune to read for some time. If you could recommend one book for us to read, what would it be? If you are a reader who likes surprises, read The Golden Gate by Vikram Seth. This has to be one of my favourite reads of all time. Entirely written in verse (DON’T let this put you off – once you get into the swing of it, it flows like a dream), this charts the lives and loves of four twenty-something’s in 1980’s Silicon Valley compassionately and compellingly. If you could have dinner with another author (living or dead), who would it be and why? I think it would have to be Isabel Allende. She was the writer who first inspired me to tell my story of the Torres Ramirez family (The Poet’s Wife) after reading The House of Spirits. I know she likes food as she wrote a book called ‘Aphrodite: A Memoir of the Senses‘ on the sensual art of food and drink, so I imagine it would be quite an entertaining meal! I’d also love to hear her stories about life in Chile and inspiration behind her novels. Are you on Facebook and Twitter? How can we follow you? I am Rebecca Stonehill Books on Facebook and @bexstonehill on Twitter. Glad you found the Four Letters of Love, it’s one of my favourite books.